From the Aiyer Rajah Expressway, go onto Clementi Road, turn into NUS Entrance B on your left. You will face a junction immediately, turn right. NUSS is on the left-hand side after the turn. From Clementi Road: Take Clementi Road exit from AYE, turn left into Kent Ridge Crescent, then right into Kent Ridge Drive. Plenty of hourly parking lots are available at Carpark 15, near Temasek Hall. 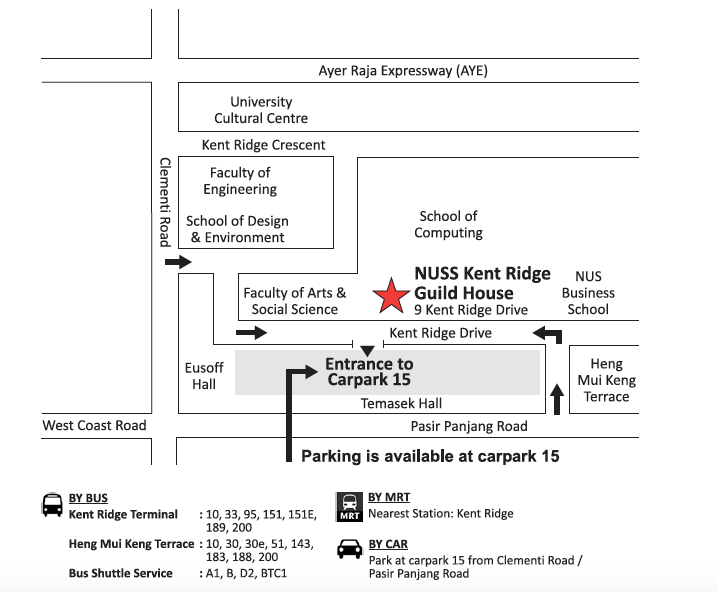 From Pasir Panjang Road: Turn into Heng Mui Keng Terrace, take a left into Kent Ridge Drive at the T-junction, and park at Carpark 15. Public bus services # 10, 33, 151, 188, and 200 serve Kent Ridge Bus Terminal, from where Kent Ridge Guild House is a short five-minute walk. 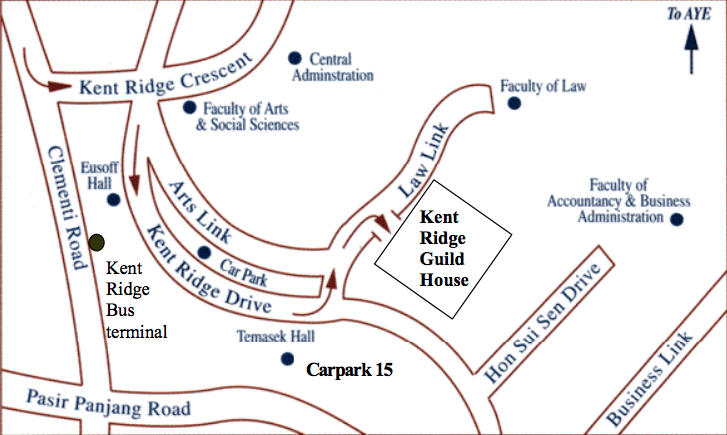 NUS Internal Bus Services A and B serve Temasek Hall, from where the Guild House is a short three minute walk.